Ever since its announcement fans have been speculating about Anthem map size. The general idea is that players will be able to move just in straight paths ahead. The game director has put rest to these speculations by saying that the straight vision seen in the game isn’t the end Anthem map size. Moreover, he added that the map has more vertical aspects. If that’s the case the players will be able to explore the heights and depths of water in the game. Jonathan Warner came out to settle the debate going on at online discussion websites about Anthem’s map size by explaining that the volume of Anthem’s map size is rather subjective. The Game Director at Bioware insisted that just what you see in straight vision is not “it” for Anthem’s map size. Warner states that Anthem has been taken to a perspective of verticality. This means that you can explore the heights and whirl in the deep waters rather than just moving straight ahead. Although this answer gave an insight about the Anthem map size but he failed to explain that how detailed will the map be? Of course, depth of the map does not mean that players will wander aimlessly inside the game. The real purpose of the map in a game means that how much interaction the players can have inside it. Furthermore, many Reddit users raised the vagueness of Anthem map size. The director answered a few of the questions. He said every fan wants to know about that how cool the map of the Anthem is. Will it be big and interesting enough for the players to explore it? He answered yes to these kinds of questions. Also, he added that players must think of the map as a single flat plane having little bumps on it. However, the map will be like a volume of an open-world map. The players will also be able to explore it vertically. They can explore the heights of the sky as well as the depth of the oceans. 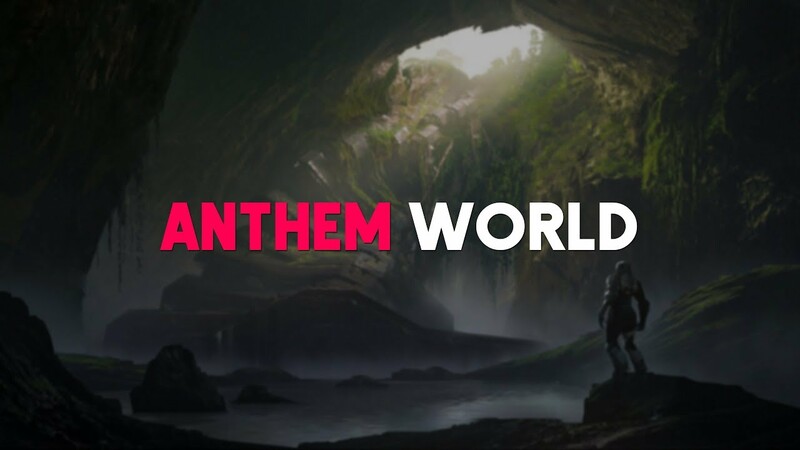 In conclusion, we can assume that Anthem will feature an amazingly larger world. Mostly when it comes to the comparisons with other games Anthem map size shows significantly bigger paths. These Travel time calculations based on the end-to-end time taken to move along the gameplay in a specific mode of transport. The longest route of each game was selected to calculate the distance. Anthem’s travel time was largest with mainly flying for 9:45 hours. Of course, during this course, the players didn’t keep flying all the times. Fallout 4 gave 9:09 hours of running while The Division kept the time of 8:45 hours on foot as well. Moreover, the GTA V driving time was 2:45 hours. We are hoping that Anthem map size is as great as we think it is. Fans are really hoping it to be a breakthrough for next-generation games and judging by its map we can say it will deliver a new experience for the fans. The game will release next year on all major platforms.